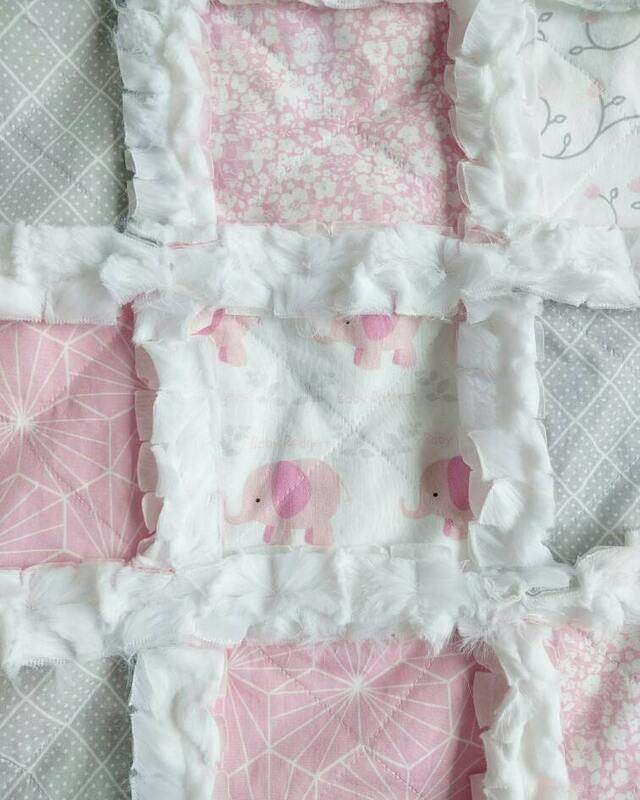 This quilt can be personalized with baby's name printed right into the fabric with the elephants! •••Be sure to leave the name you wish to have added in the note to seller section. 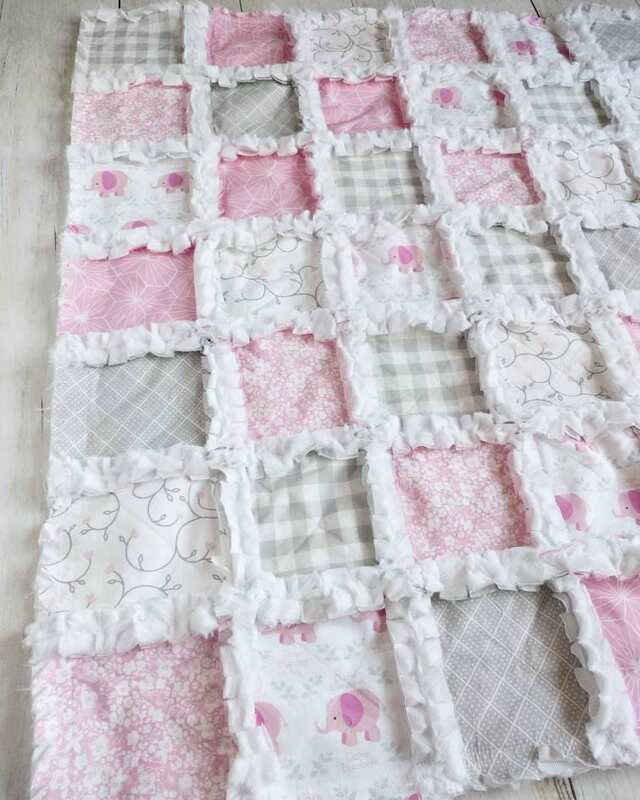 The color scheme is so beautiful in this baby/toddler quilt for a little girl. 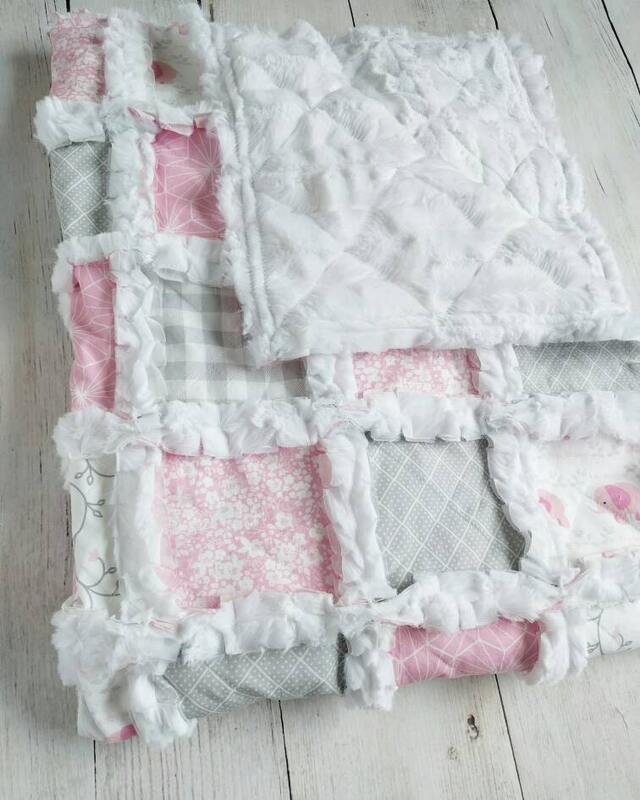 It is made by hand in the USA and has a modern shabby chic look. 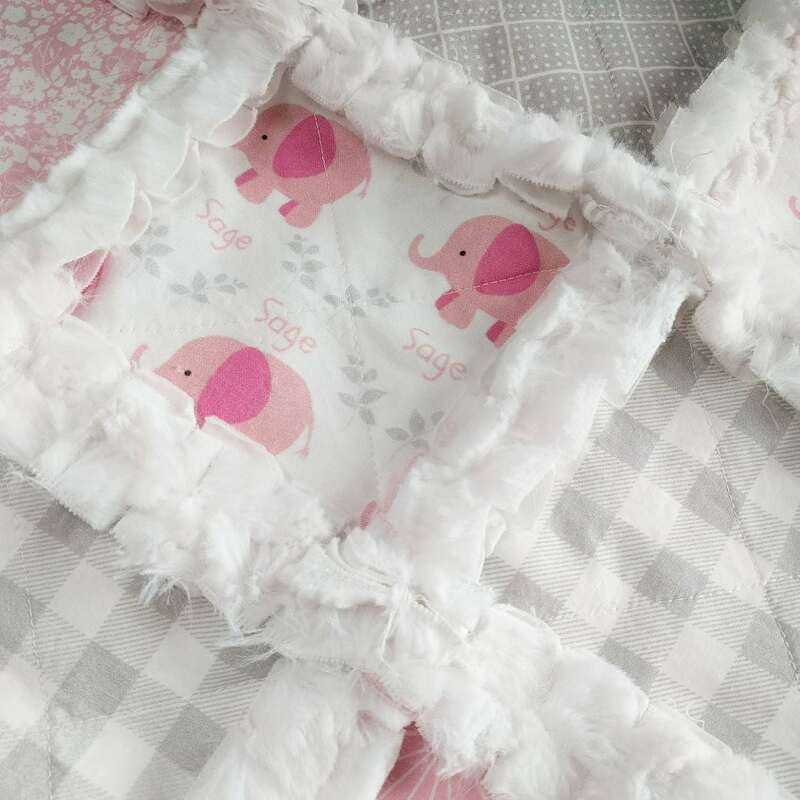 The sweet baby blanket is super soft and fluffy; perfect for your little one to snuggle up with in the stroller, in the car and at home in her crib or bed. 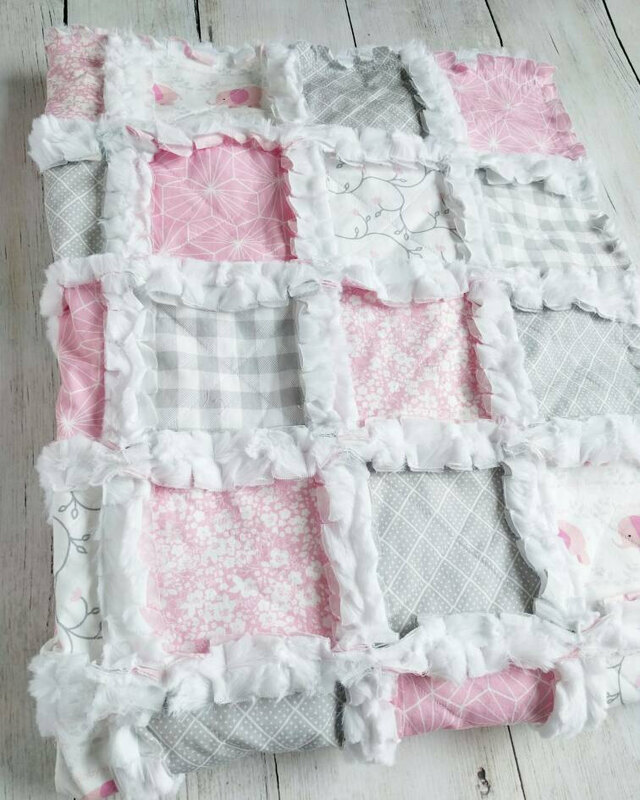 This quilt is handmade from prints in light pink and gray with a fluffy white minky on the back. 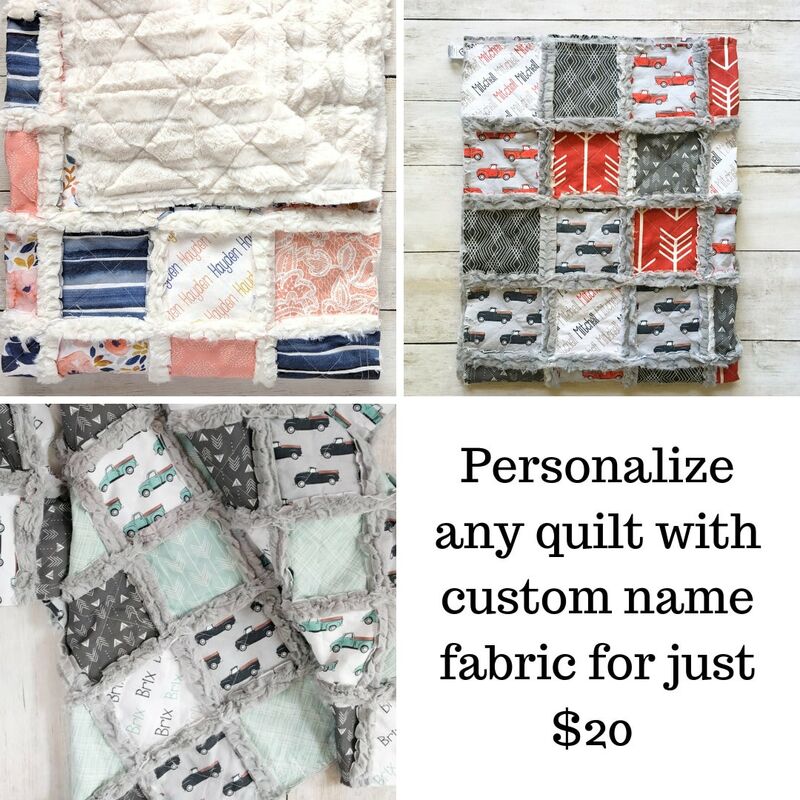 It's a perfect size for an "on the go" blanket; fold it up and put it in the diaper bag and it will be ready to use when you need it! 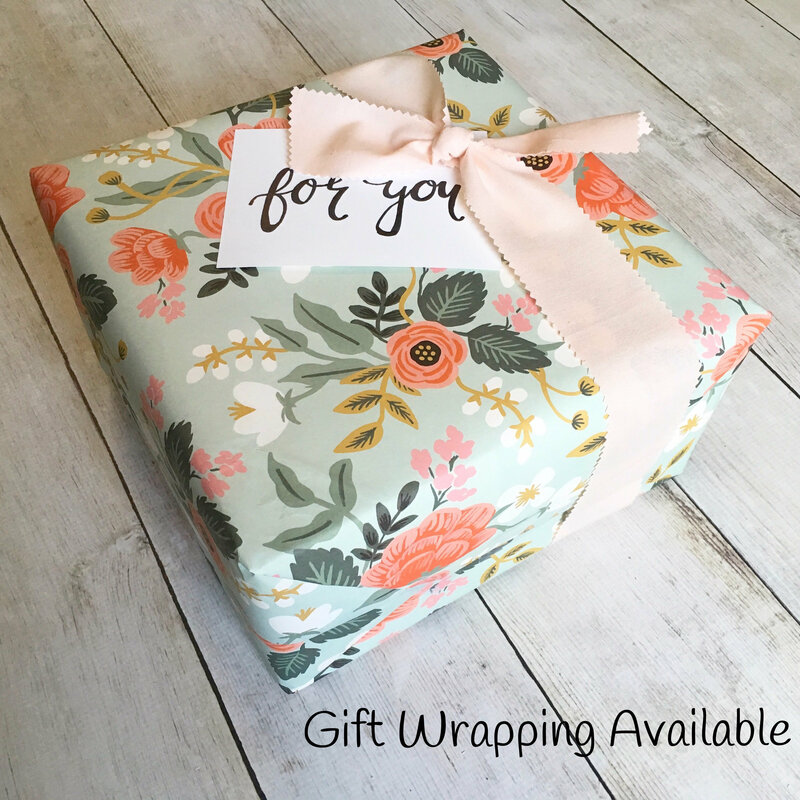 It's great idea for a last minute new baby gift or baby shower gift or buy it for your own baby. 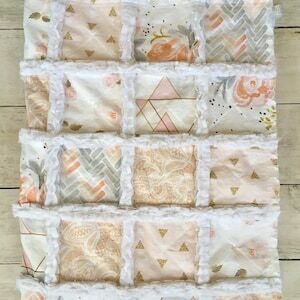 I always use minky on the back of my quilts because I know how much babies love it. My 2-year-old son still carries around his favorite soft "blankie". 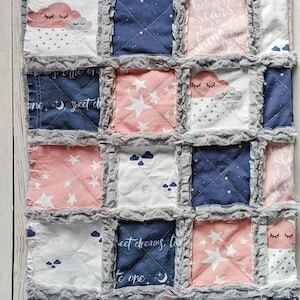 This is a beautiful handmade quilt. 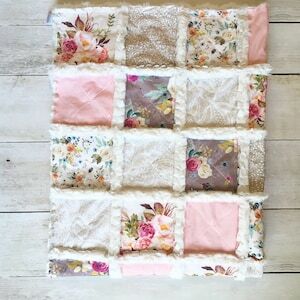 This was the perfect gift for my grand baby! 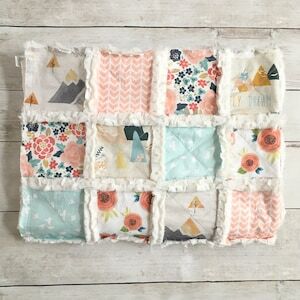 Thank you for the beautiful quilt! We love it!